Capacity: 6000 cigars (based on Montecristo no 4 sized cigars). Extra-strong door construction, to ensure proper closing of door after many years of use. No special humidification liquid required. Works simply with distilled water. Shipped with 3 removable trays for storage and presentation of individual cigars. Display angle of all trays can be flexibly modified. You can freely choose for each shelf level whether you prefer to store individual cigars in tray or cigar boxes. Completely equipped with electronic humidification system containing water tank, additional tank and control unit with integrated accurate electronic humidity sensor. Drawer for cigar accessories in middle of cabinet on a stainless steel rail with ventilation space at back wall. Ventilation space at the back wall of the humidor and additional ventilation space at the front side of humidor for improved air circulation. 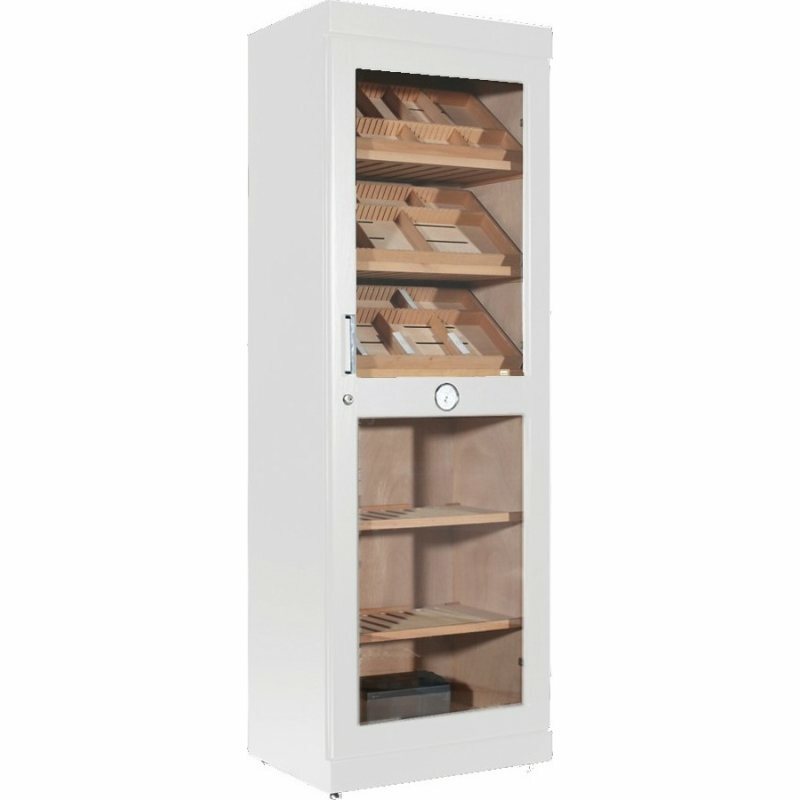 Excellent air circulation, ensuring constant humidity levels throughout the humidor. New modular design of humidor. Flexibility for expansion. 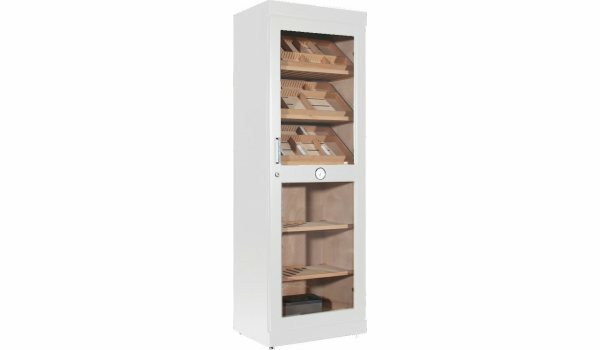 Instead of having to pay for expensive custom-made large humidors, it is now possible to build large humidors by attaching several Roma humidors as modules next to each other. - Electronic indication of water level in water tank. No need to open the tank to check water level. Innovative divider system for flexible individual separation. Protected adorini innovation. Label clips for dividers. Protected Adorini innovation. NEW! Light installation. Special water protected light strips installed in humidor. Low consumption & Low heat emission.